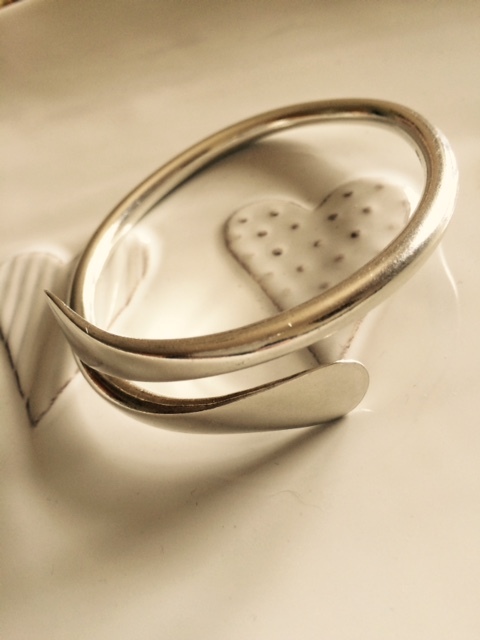 A heavy oval wrap around bangle which has been shaped from 5mm thick sterling silver with hammered spoon shaped ends. The bangle is supplied highly polished but please be aware that polished sterling silver will in time gather small surface scratches. If preferred this bangle can be supplied in a satin finish.